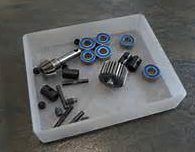 A carburetor manufacturer needed to track each step of an assembly process. 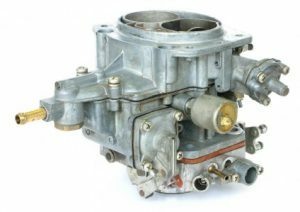 Each carburetor is produced by assembling very small parts in which the resulting assemblies get assembled into larger parts until the carburetor is completed. Most of the steps in the process are manual, but many of them are semi-automated. The challenge resulted because the test steps were occasionally being skipped which was allowing some carburetors to be completed with sub-assemblies that were untested. This resulted in higher defects and a reduced quality of their finished product. Use InformaTrac Pro and RFID Assembly Workflow connected to the MES (or ERP) software to check that each step is completed before allowing any subsequent steps to be performed. By putting an RFID Tag on the assembly trays and RFID readers at critical steps, InformaTrac Pro can read the parts as they enter the work area. By using monitors at each assembly area, the users and automated equipment are alerted, stopping the process if critical preceding operations have not been performed. InformaTrac Pro not only tracks all the operations performed by location, but also keeps track of where items have been, giving complete genealogy for the life of each tray (work order) along with where it still has to go.